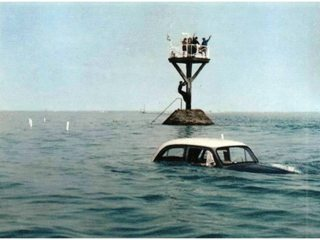 Is it dangerous to go to Île de Noirmoutier using the pass? I heard that there are two possibilities to get to the island of Noirmoutier. 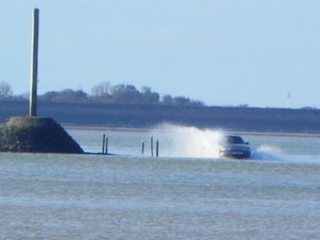 You can either use a bridge, or you can use a pass through the water, which is only drivable if the tide is low. Is this dangerous to cross? And what if I'm stuck halfway? Is there an emergency service? 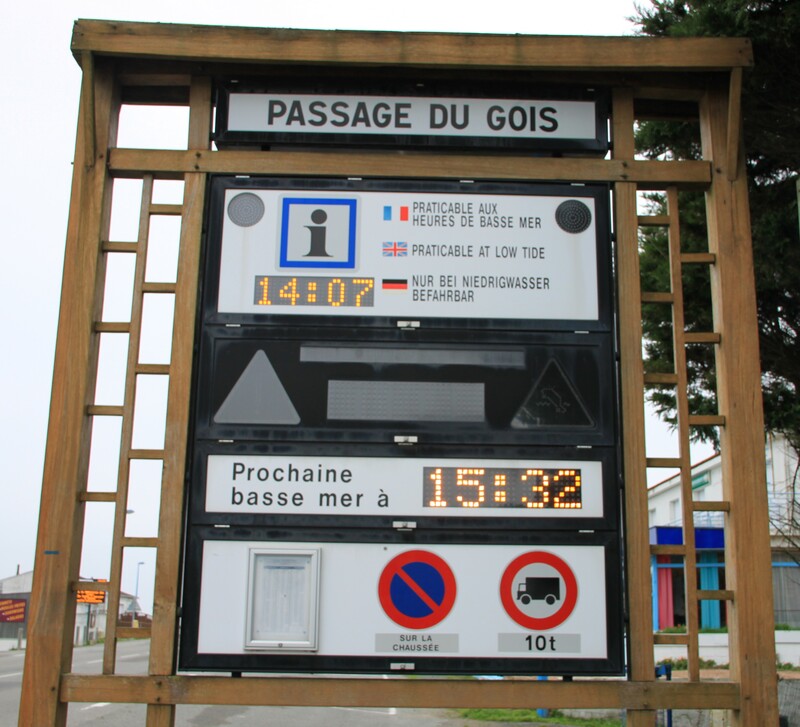 Passage du Gois is a natural passage with a length of 4,3km (2.58-miles), located in the Atlantic coast of France in the Vendée. 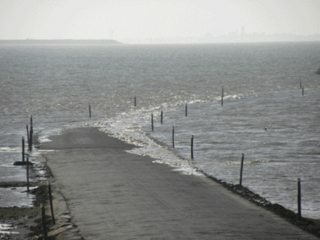 Part of the D948 leading to the island of Noirmoutier floods with high tide, and is accessible only during low tide, 1½ hours each before and after the lowest tide. If you miscalculate, there are refuge markers which you would have to climb; your vehicle is another matter. For safety, the current time and the time of the next low tide are indicated at the entrance. Great images courtesy of Dangerous Roads and Les Mouettes 17. If you make it across safely, and dry, splurge on a meal at La Marine, Alexandre Couillon's Michelin-starred restaurant. Not the answer you're looking for? Browse other questions tagged france safety driving islands or ask your own question. How to convince airport security that I am not dangerous when having metallic parts in my body? Is there an 'ideal' crossing between Michigan and Ontario? With a Lille Pass Pass smart ticket, what happens if the wrong ticket type is selected by the validator? How can one visit an isolated island? Is it safer to drive up or down a dangerous mountain road?